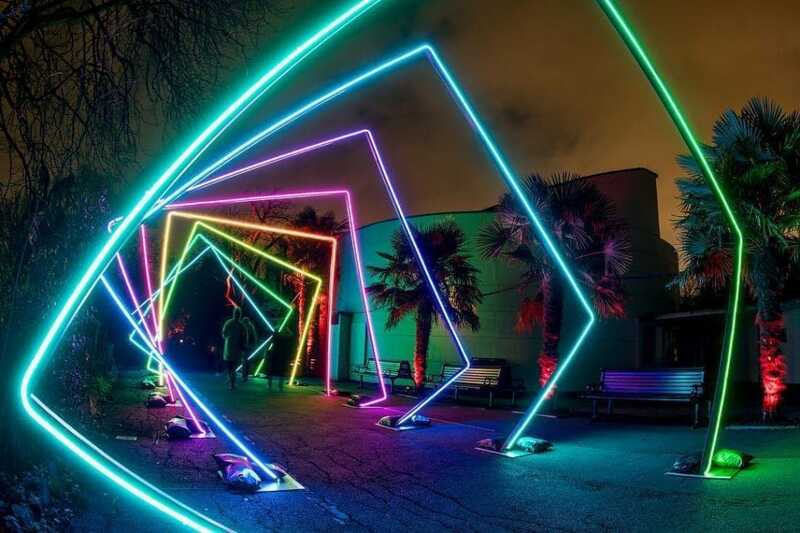 All of the lights, all of the time. 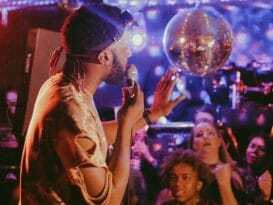 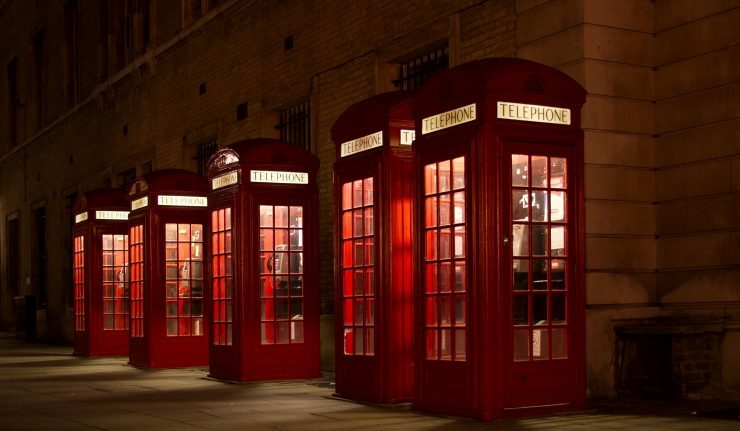 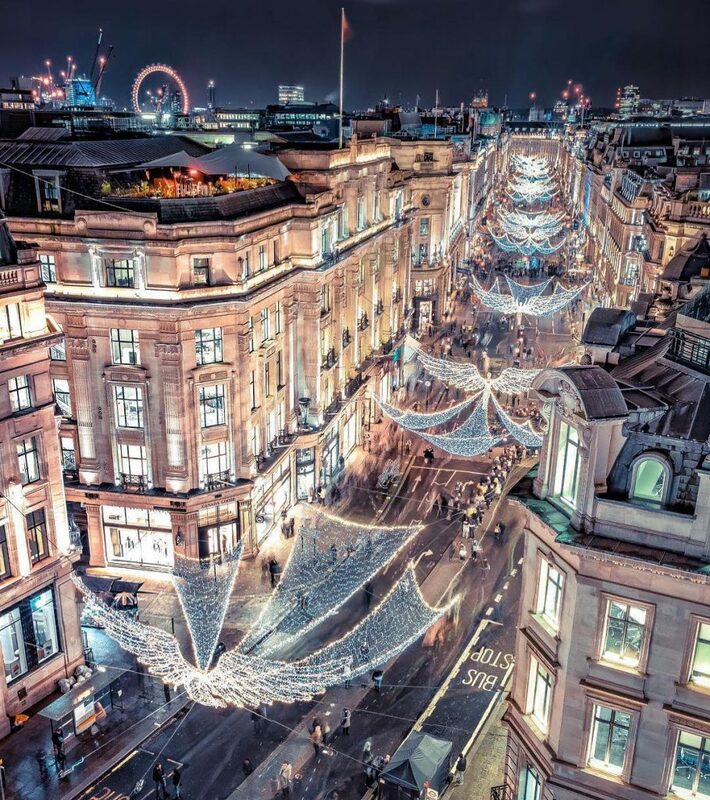 London’s sparkling cohort of Christmas lights are up and shining bright, and you’ve been out ‘gramming them. 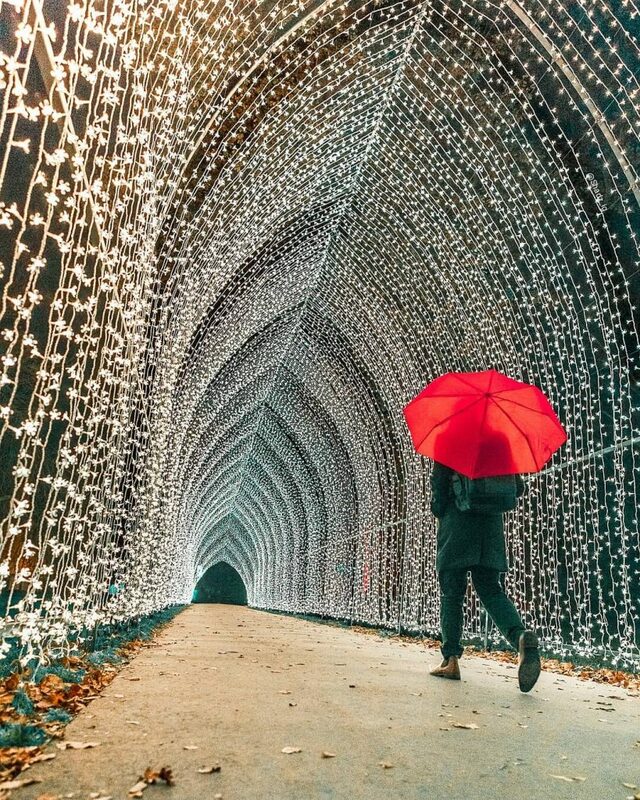 Which feels like a neat excuse to collect them all in the twinkliest roundup you ever did see! 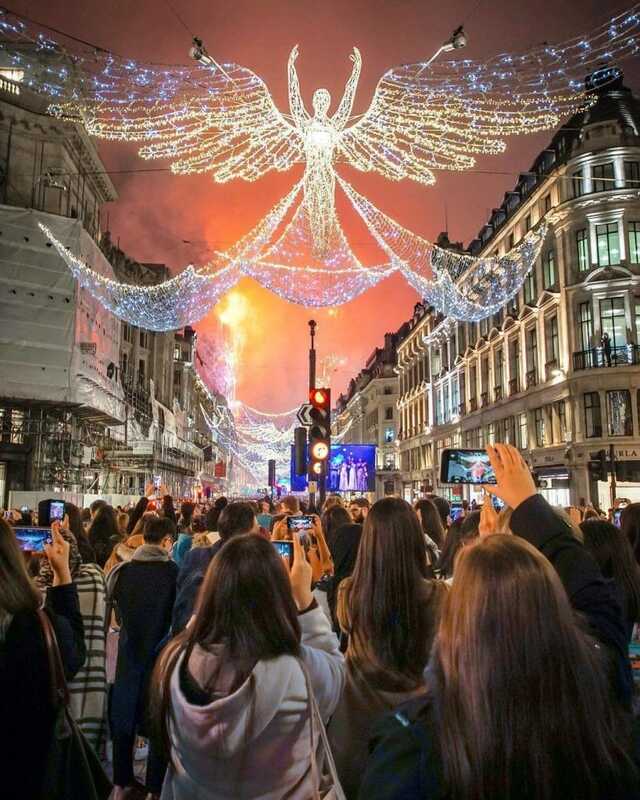 Lit with their trademark angels, Regent Street is looking pretty heavenly right now. 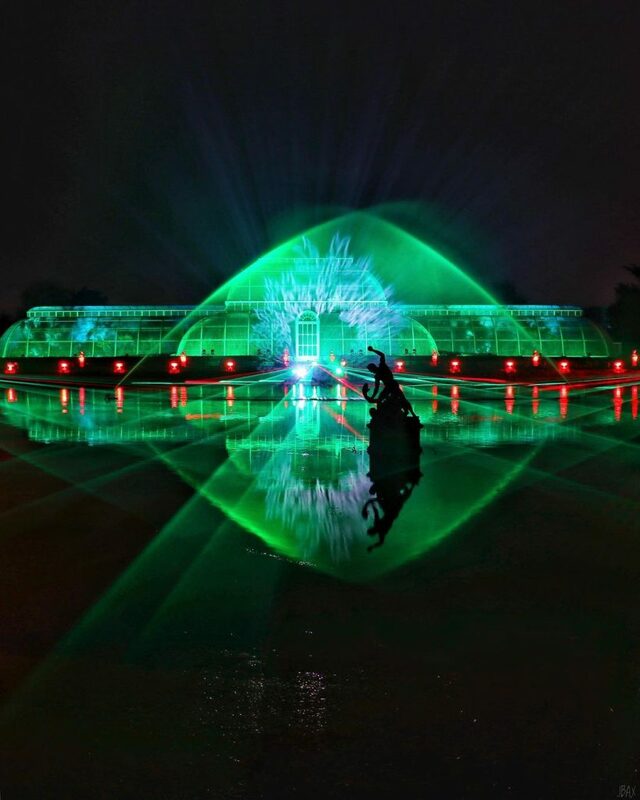 Kew is rather gorgeous anyway, but a spectacular light trail only makes it more enchanting. 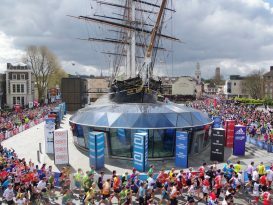 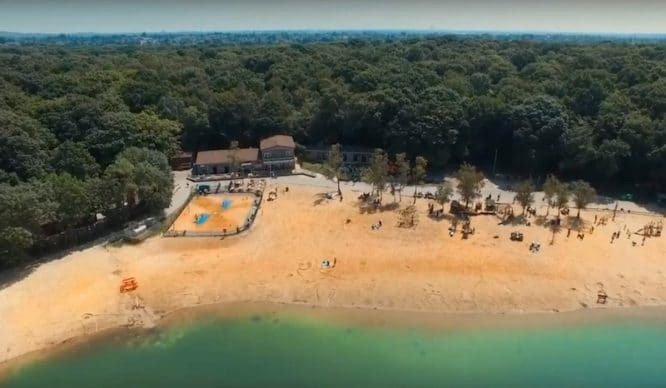 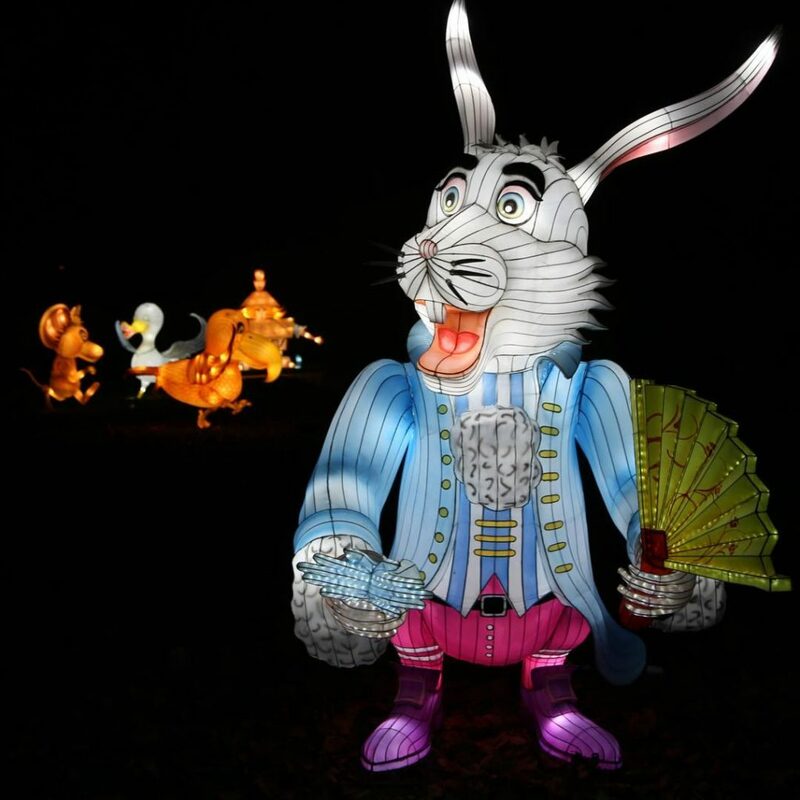 Illuminated boats, laser displays, and a scented fire garden are just a handful of the highlights here. 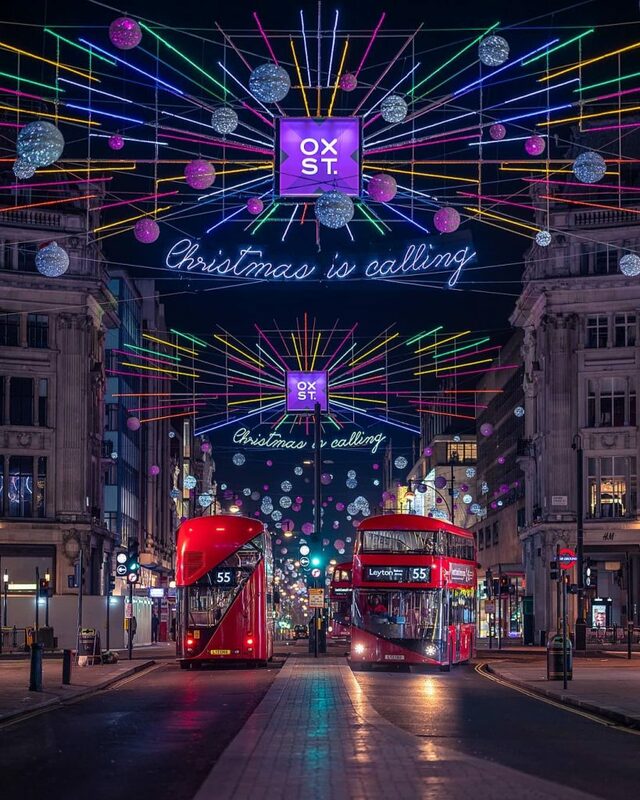 The famously keen Oxford Street gang were first up with their lights, adding the first splash of colour to London. 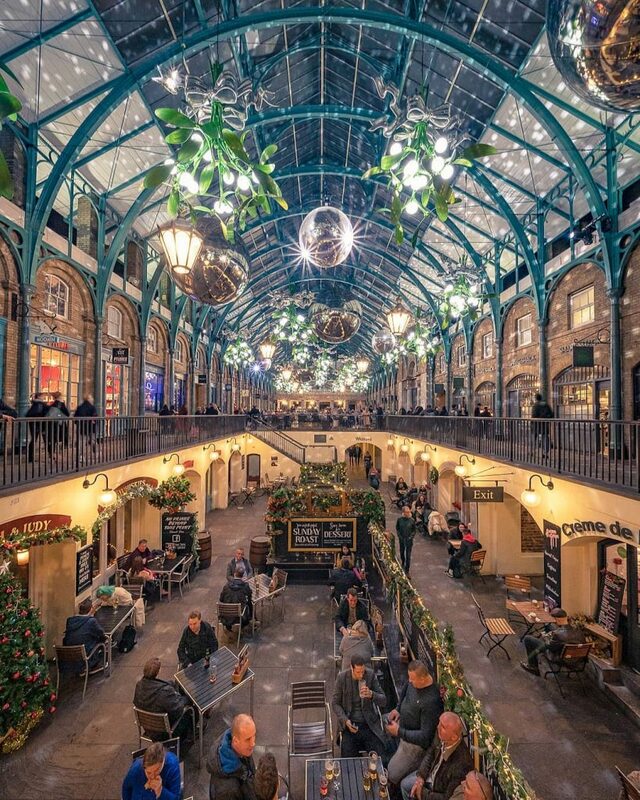 At Covent Garden, there’s mistletoe hung where you can see – in fact, you can hardly fail to spot it, given that it’s illuminated in bright white! 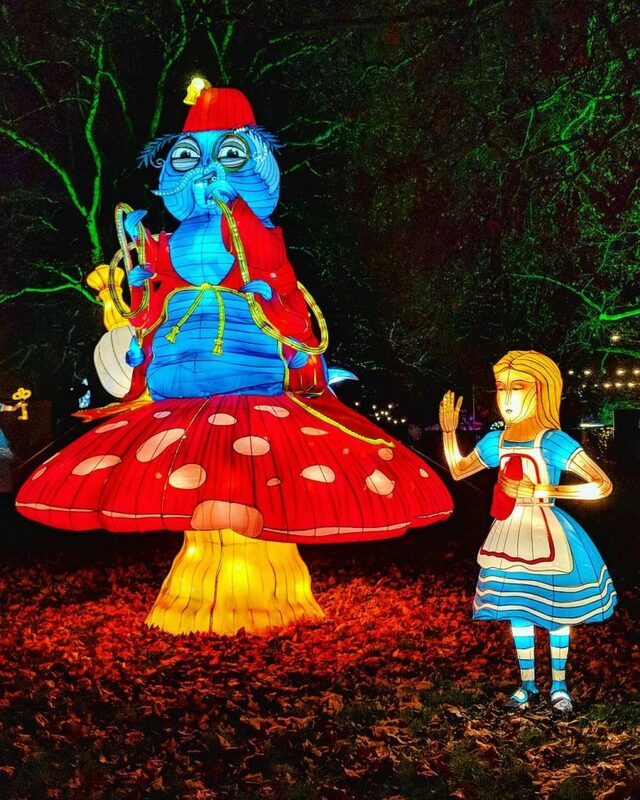 They’re not hugely Christmassy, but the Alice in Winterland festival lanterns are stunning – see them in Southwark Park until January 5th! 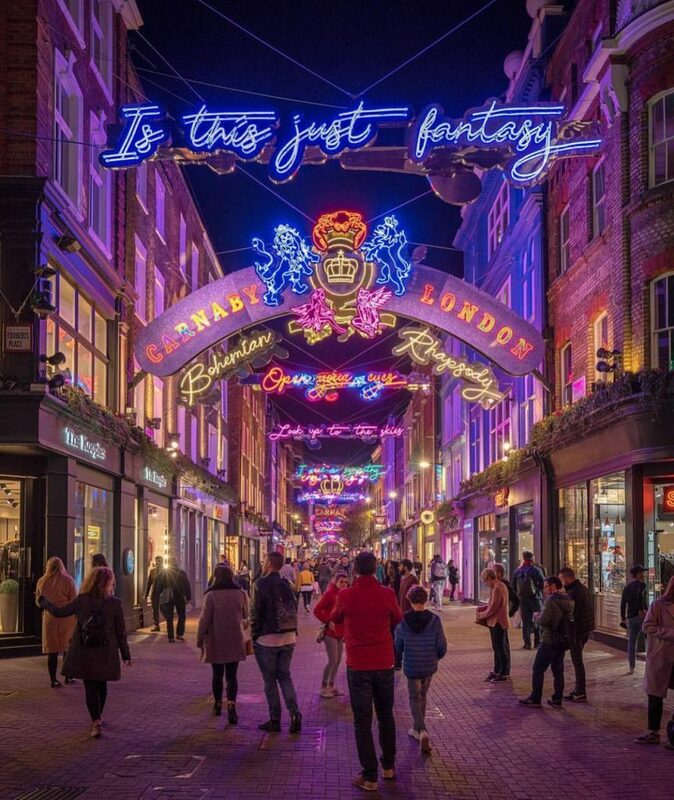 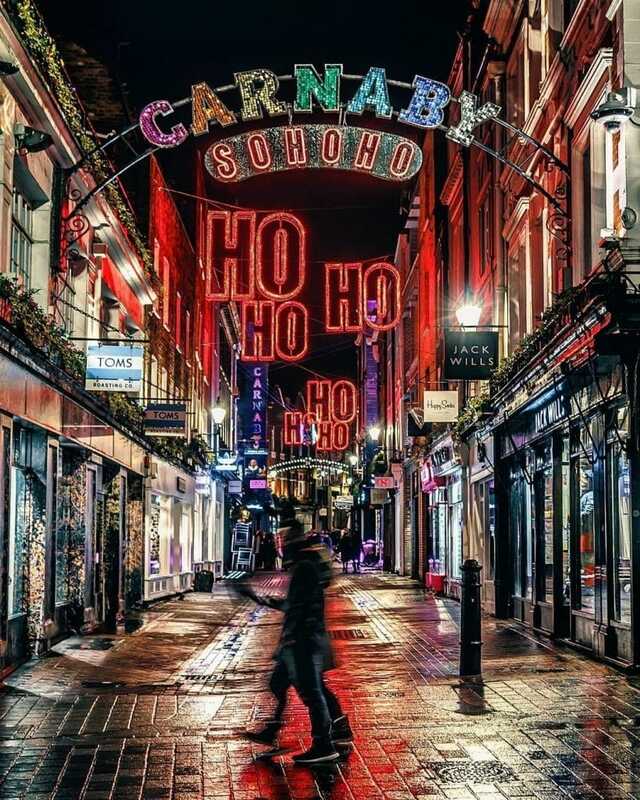 Glittering away in the heart of Soho, Carnaby’s mix of Christmas decorations and Queen-inspired lights have proved to be a crowdpleasing combo. 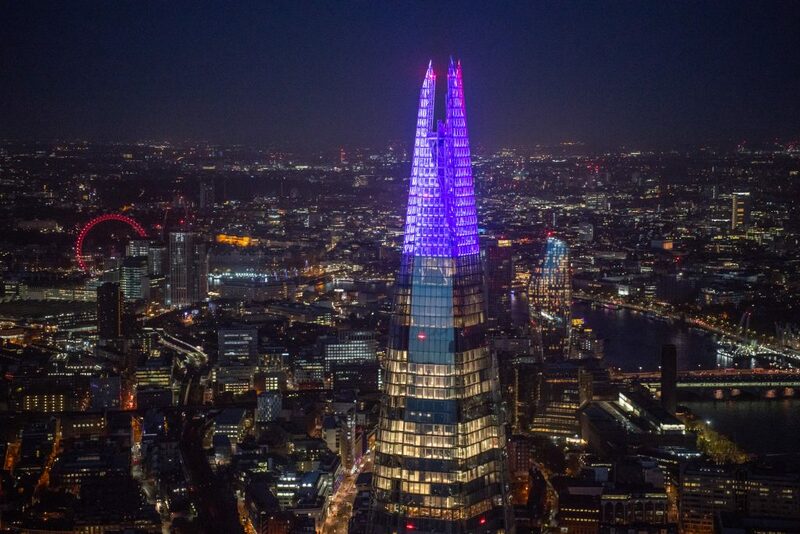 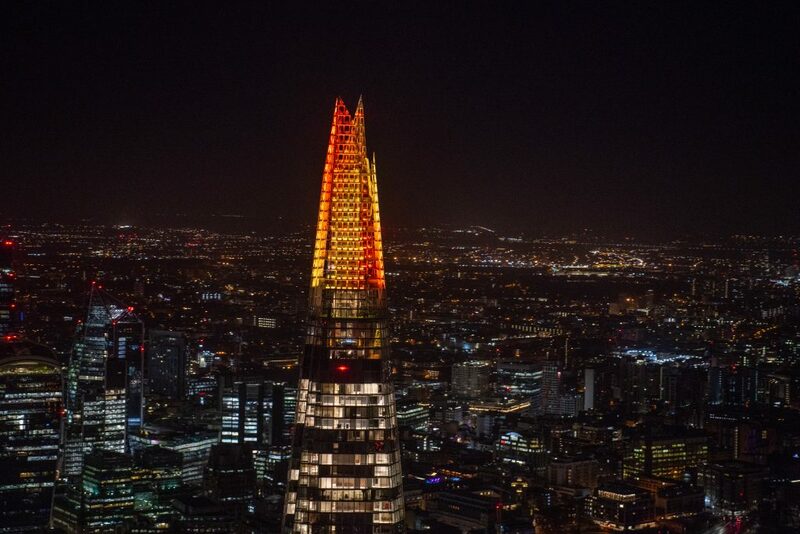 Towering above the rest of London’s Christmas lights, The Shard’s top 20 storeys will be illuminated every night in December, casting festive cheer far and wide. 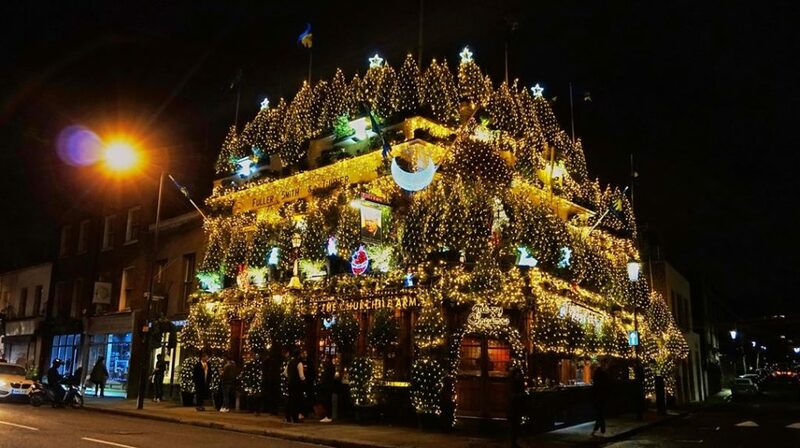 Your wander amongst the animals now has a festive feel, with lights and a giant tree added to the attractions at London Zoo. 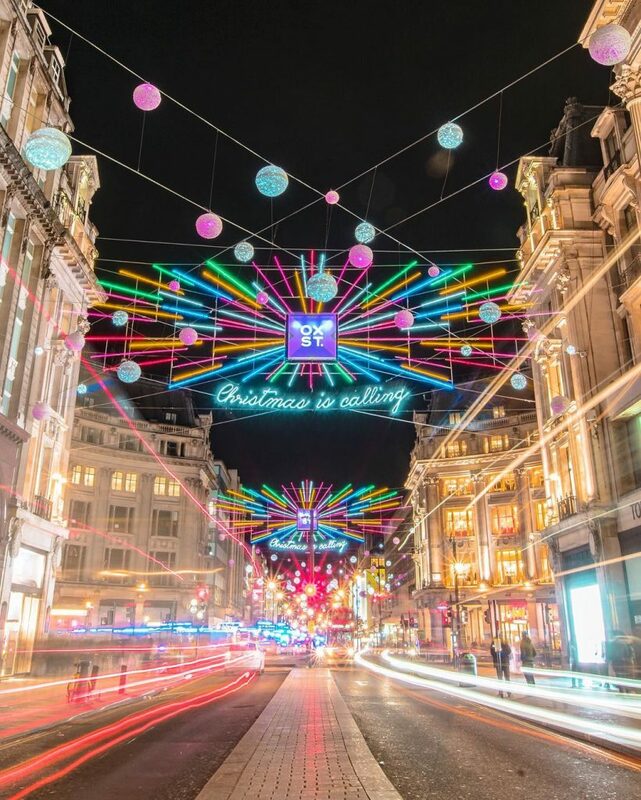 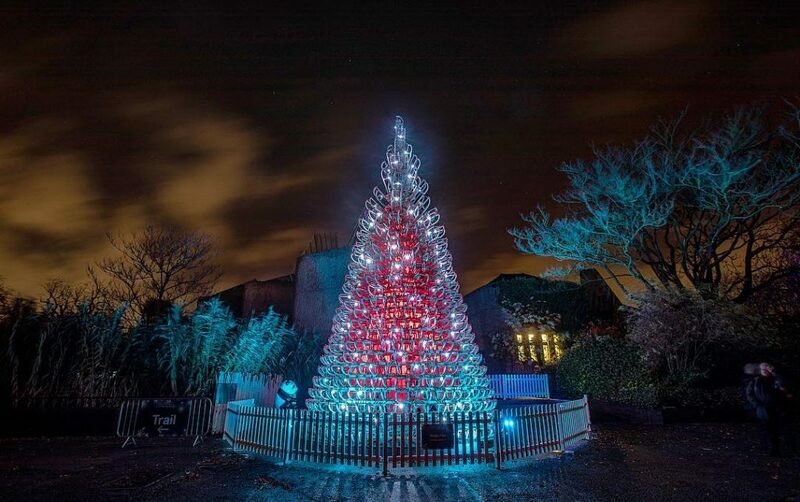 It’s not just the tourist traps who are getting in on the Christmas lights. 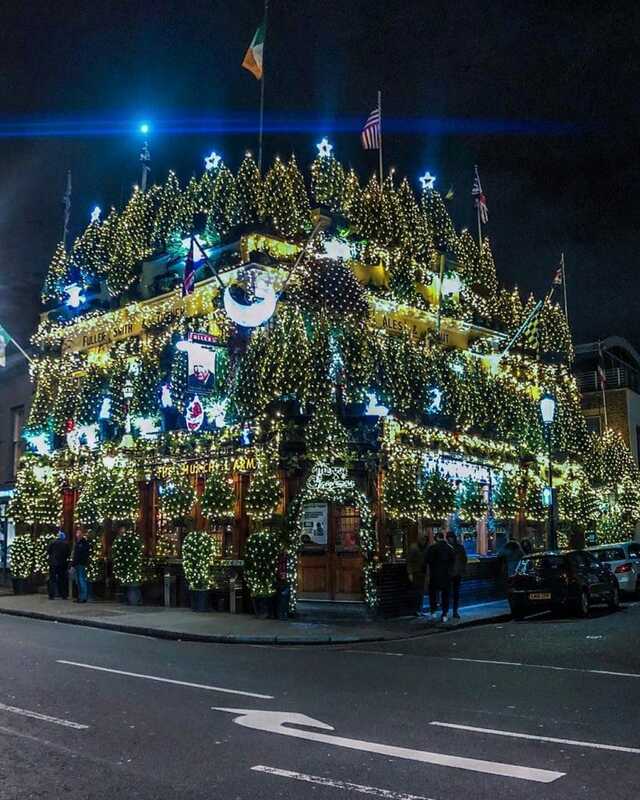 London’s most festive pub is shining bright, bedecked with 80 trees and 18,000 lights. 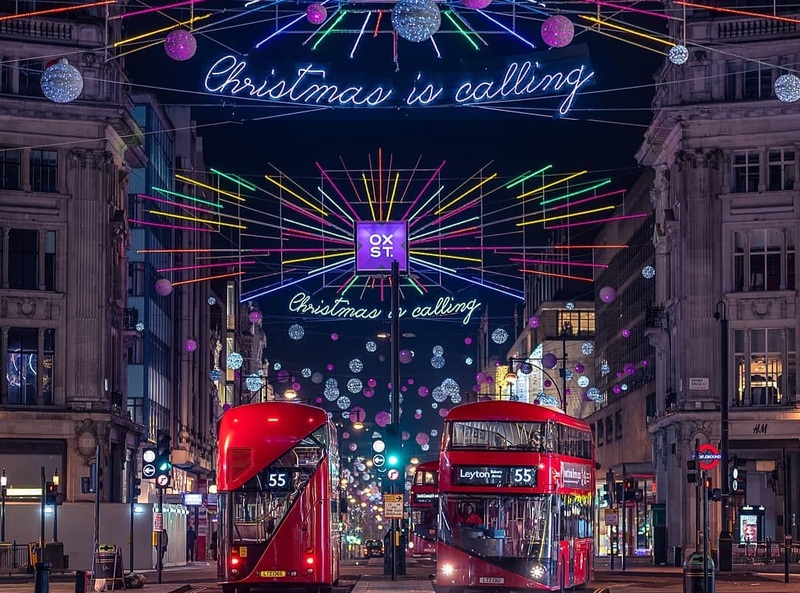 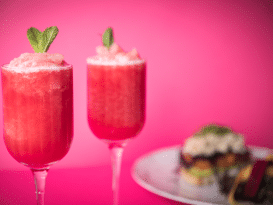 Need more festive treats? 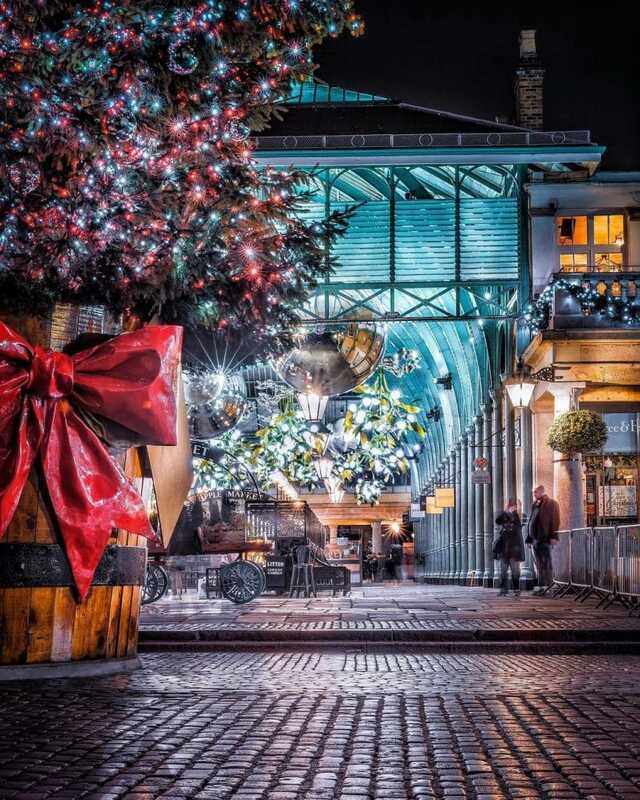 We’ve got Christmas markets, charming ice rinks, and the best Christmas trees in London all covered for you!